Energy is our solution for low energy. 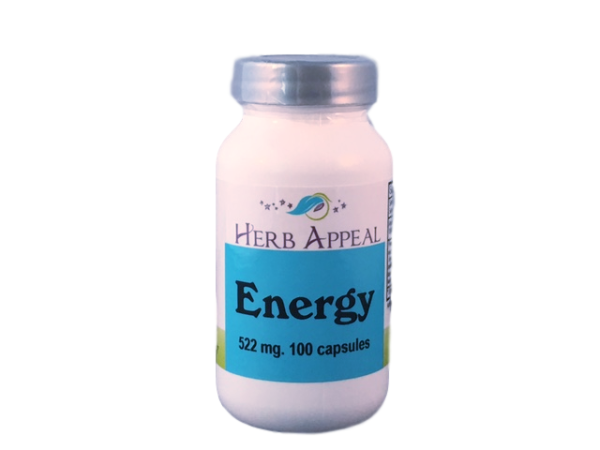 It is a combination of herbs formulated to gently and safely give the body a boost of energy and help the mind stay alert and focused. Ginseng is the first ingredient in this formula, and has been known to boost energy, improve brain function, and support the male reproductive system. Our Energy formula is ideal for helping to get you going in the morning, picking you up in the afternoon, and keeping you alert when you have a long day ahead.